We all need this! See for yourself - Momo is irresistible. For kiddos of every age. — From Let's Find Momo! Everyone's favorite hide-and-seek dog returns in this colorful, kid-friendly photography board book. 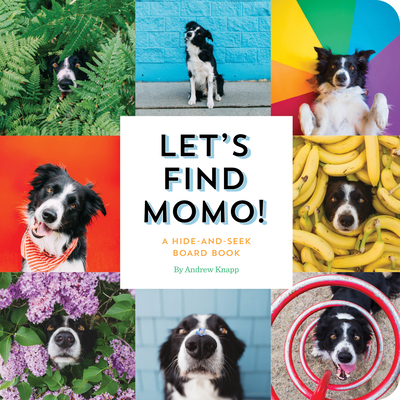 Look for Momo hiding on a farm, in a bookstore, at a construction site, and in other unlikely locations (the photos are also loaded with other hidden objects for kids and parents to find together). Perfect for bedtime reading, car trips, playtime, or anytime, Let’s Find Momo is part art book, part puzzle book, and all fun!